If you have been part of the online paper community for any length of time, chances are good that you've come across Helen Hiebert, paper maker, artist, author, and so much more. She is known for her in-person and online courses, and an annual Twelve Months of Paper Calendar that is both a how-to book and wall calendar. A unique paper project is shown monthly with complete instructions, and most take thirty minutes or less to complete. 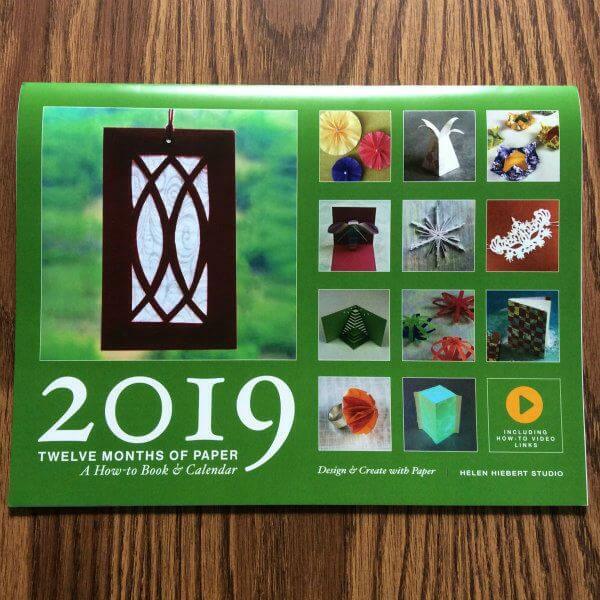 It was an honor when Helen invited me to design a quilling project for the 2019 calendar. 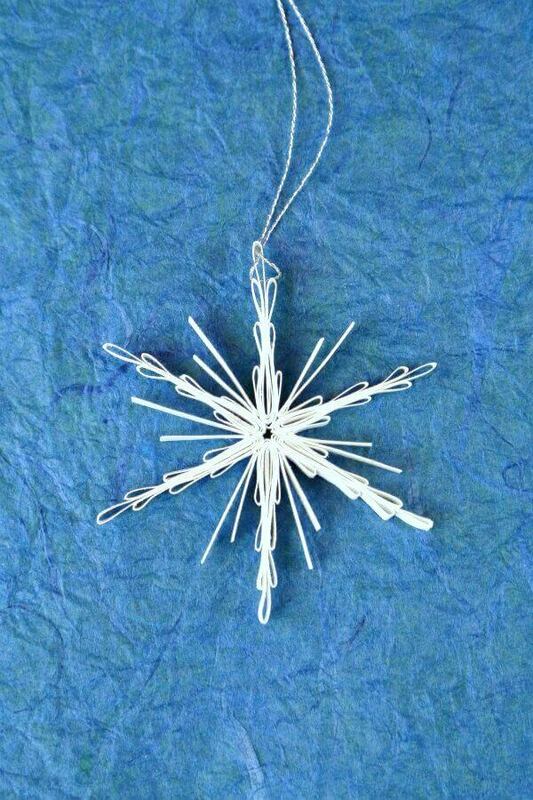 I came up with this Ice Crystal Ornament for the December page, but there's no reason why you can't make crystals this year, not next, if you order a calendar soon. Because they don't take long to assemble once you start looping the paper strips with your fingers (no quilling tool required! ), there's time to make a batch before Christmas. In addition to hanging on a tree, they're great as gift toppers (gotta love a little present on a present) and can even be worn as a necklace pendant. 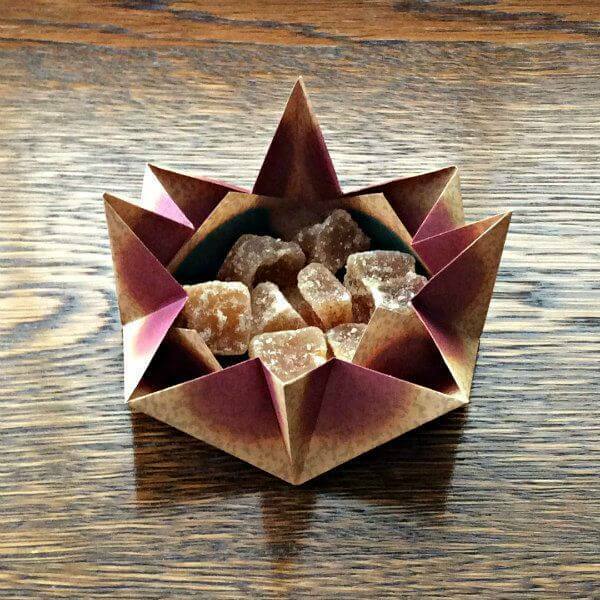 I had fun making this origami candy dish that young Trinity Adams of the organization Paper For Water designed for June. (Anyone else a fan of crystallized ginger? Yum!) The non-profit is run by her family to help fund water projects in fourteen countries so girls can go to school instead of carry water. Helen donates twenty percent from each calendar purchase to Paper For Water. Oh! And it's not too soon to tell you about Helen's upcoming online class that starts January 16, 2018. It's called Weave Through Winter. P.S. Don't miss out on entering the NiJewels international giveaway that is underway on Instagram through Saturday, December 1st to win a colorful pair of Palette earrings. 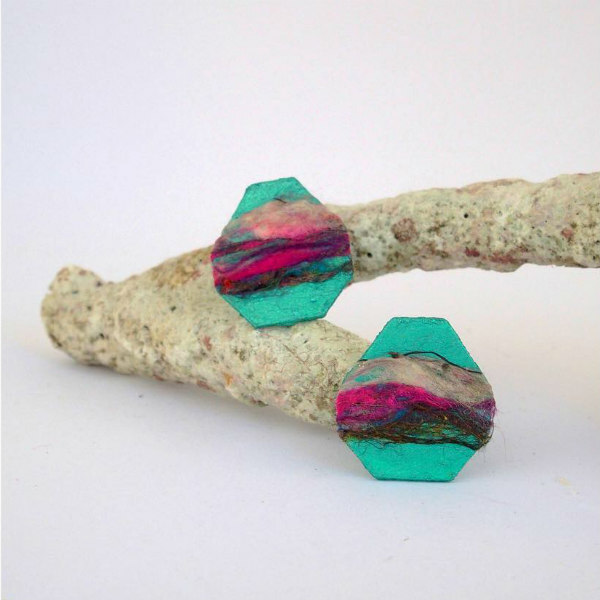 Artist Nikolina Angelova's designs redefine the use of silk thread in jewelry making... go see her selection of wearable art! All Things Paper is a Twelve Months of Paper and Etsy affiliate.